Illustration of the doppler effect. This describes the change in frequency of a wave for an observer moving relative to its source. 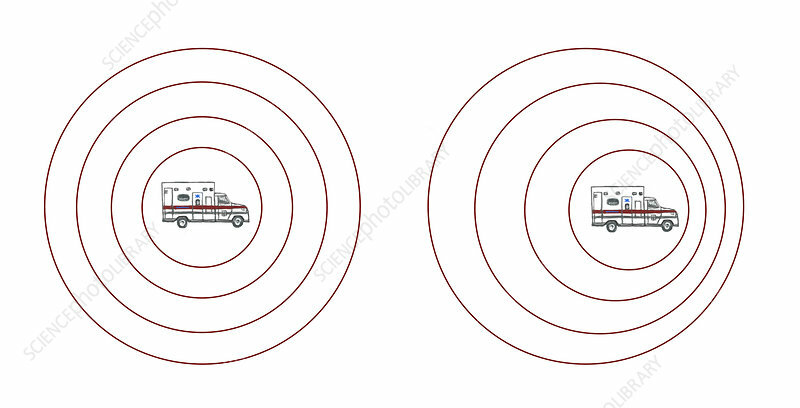 The illustration uses the sound of an ambulance as an example. Compared to the emitted frequency (represented at left), the received frequency is higher during the approach, identical at the instant of passing by, and lower during the recession (represented at right).